We will be pleased to help and will send you any other information you may require. 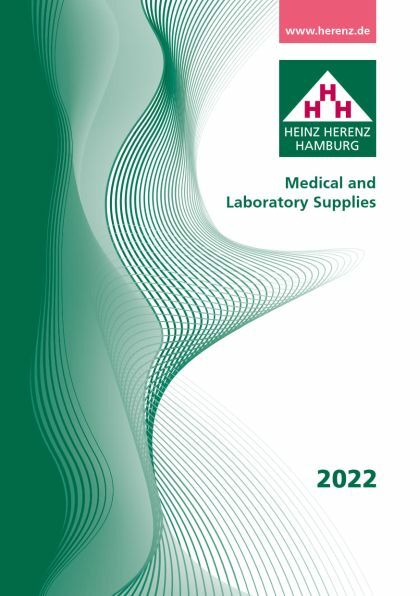 Heinz Herenz Medizinalbedarf GmbH is successfully working in the fields of production, wholesale and exportation of medical goods and laboratory supplies for almost 70 years. Customer satisfaction is the essential element of our success. We only can reach this goal with our longstanding experience in the market and with a sympathetic ear for the demands and special needs of our clients. For the majority of our products we are the producers in accordance to the guidlines 93/42/EWG und 98/79/EG. We are certified acc. to DIN EN ISO 13485. Our product variety ranges from gynaecological sampling brush, applicator sticks, alcohol swabs to blood lancet and venous tourniquet to urine sample cups and cotton swabs. We supply microscopic slides, cover glassess, pipettes as well as laboratory glassware and laboratory bottles. We also offer disinfectants, scalpel blades and ultrasound gel. One of our business areas is producing disposables for hospitals and microbiology accessories. Since our founding in 1949, our range has been constantly developing as we adapt to progress so that today we offer a wide range of laboratory supplies. The product range includes cotton-swabs such as lemon-swabs, alcohol swabs and applicator sticks, urine sample cups, but also the name-protected smear brush Gyno Brush® and blood lancets. We also microscopic slides, laboratory bottles, pipettes, cover glasses and laboratory glassware as well as ultrasound gel and disinfectants worldwide. Our single use items for the hospital, such as blood lancets, alcohol swabs, urine sample cups, scalpel blades, cotton swabs or swab brush are among the main items in the range. The standards and demands of our customers come first.